Still looking for a Valentine's Day date? Maybe Sunday is your lucky day! Let Erica and Margaux work their magic on you. You know you got nothing better to do! 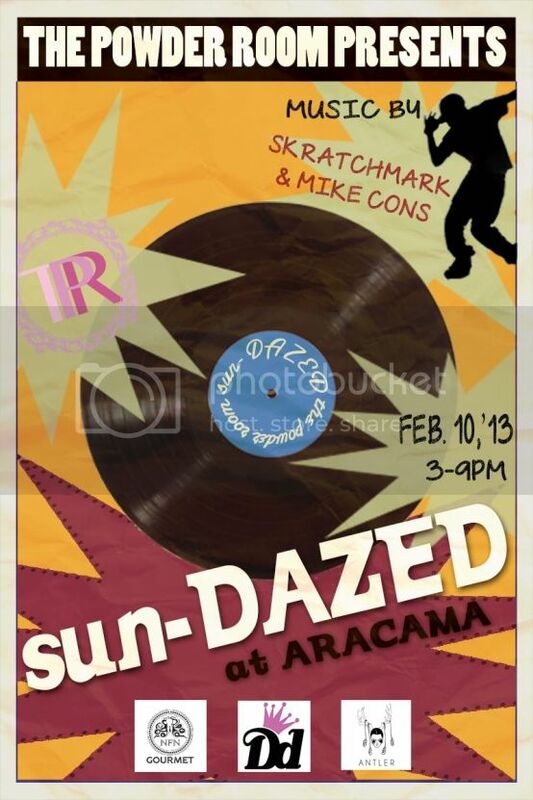 Music by DJ Skratchmark and Mike Cons. Now get ready to dance! Great music, fly honeys, hunks galore (not me), cold drinks, good vibes and a few pairs Gourmet Footwear to be raffled off so you better not miss out. Remember all the fun we had last time? Allow me to refresh your memory HERE and HERE.